There’s nothing worse than your stomach growling while you’re waiting at the gate. The great news is you don’t have to loop back to the restaurants or bars. Because food delivery service to the E-Pier and D-pier is available. 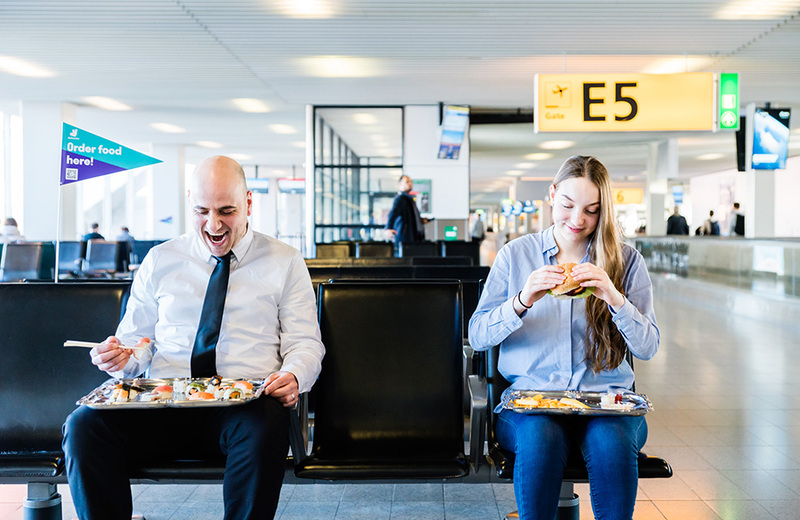 Your food order takes 15 minutes to deliver, and you’ll be on-board your flight with a full tummy. You can order anything from pizzas, hamburgers, salads and sushi and more. 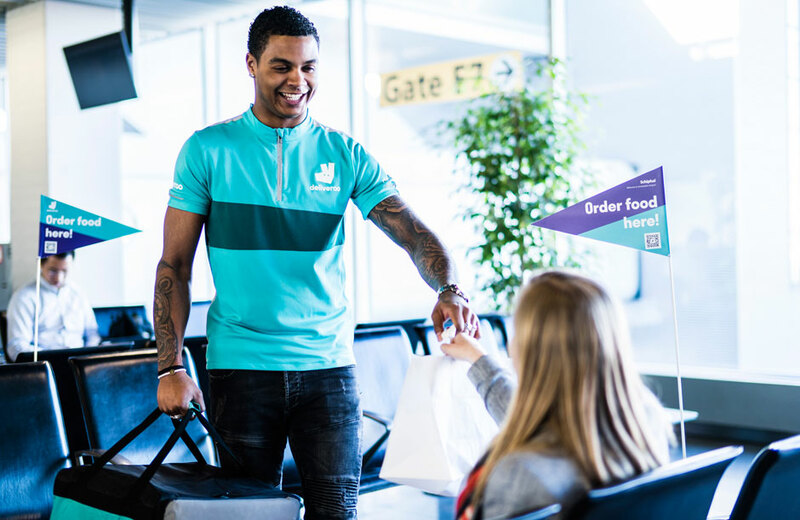 Choose your favourite meal from Kebaya, something delicious from the Street Food Market – anything you like, using the Deliveroo app or website. 15 minutes later your meal will be delivered to you on the E-Pier and D-Pier. This is great if you have a bit of time to wait before you board. Available every day from 07:00-20:30. Meal deliveries occur between 07:00-20:30 daily. Temporarily there are no delivery fees. You can also use this service if you are staying at the Mercure hotel in Lounge 3 (after security). 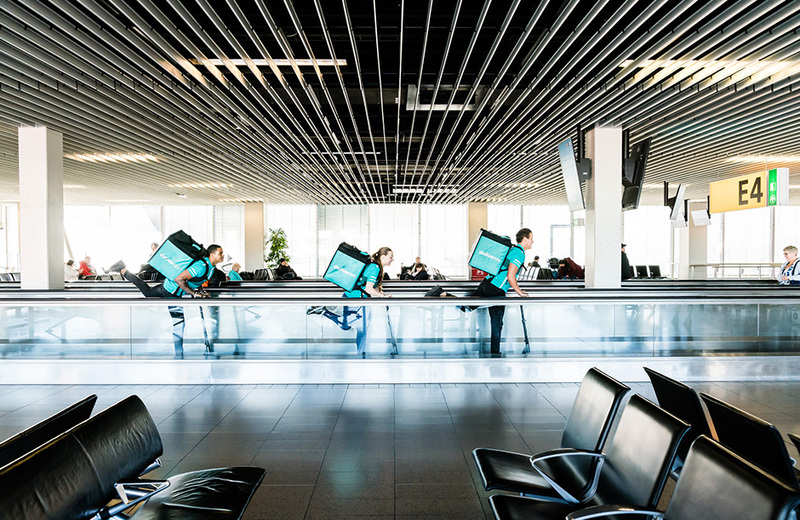 Did you know that Schiphol will be the first airport in Europe to experiment with this concept? The piers at the airport are quite long, which can make for a long walk to the restaurants and bars in the lounges. Of course, travellers do not want to run the risk of missing their flights. 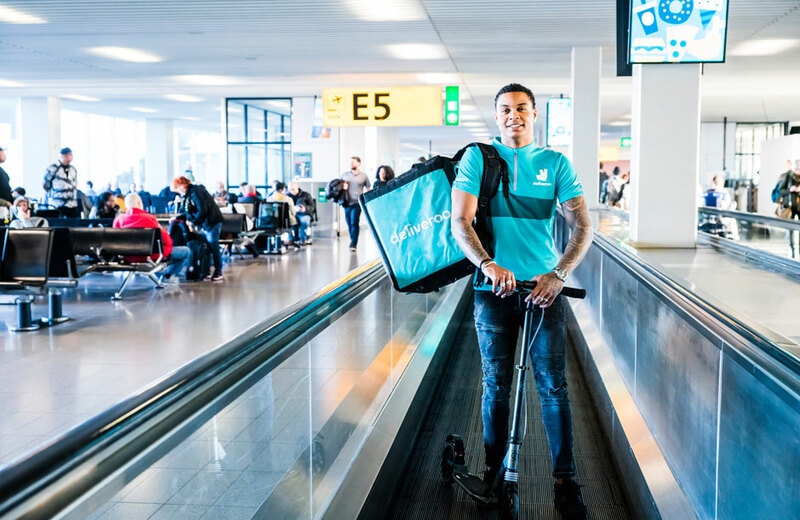 Our deliverers will use a scooter for longer distances, so your pizza or hamburger won’t be cold when you receive it.